Billy Joel will be the first artist to play Fenway for five straight years. Yet again, Billy Joel will be tickling the ivories at Fenway Park. The Piano Man will perform at the ballpark Aug. 10, becoming the first artist to perform at Fenway for five consecutive years. 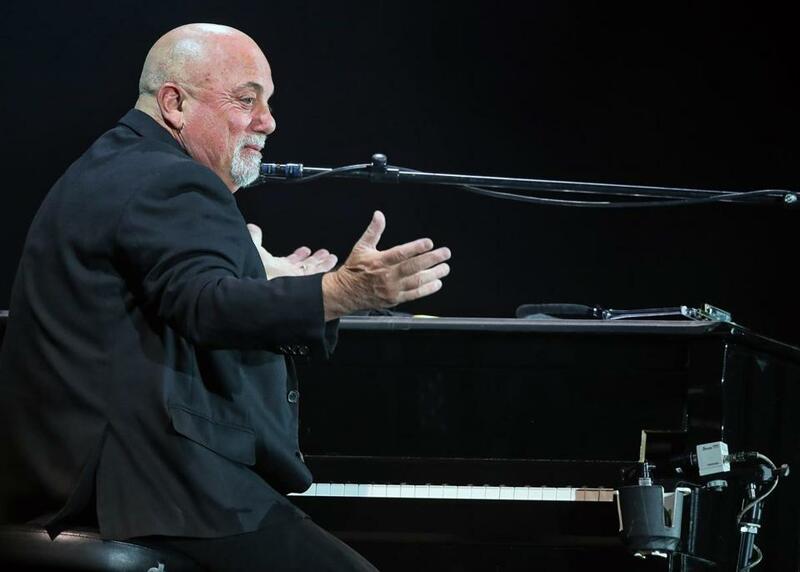 “It is a testament to the enduring popularity of his great music and consummate showmanship, and we couldn’t be happier that the Piano Man is returning here to deliver more summer magic,” Red Sox president and CEO Sam Kennedy said in a statement. Tickets will be available to the general public at 10 a.m. Jan. 31 via RedSox.com/BillyJoel. The 68-year-old singer, who recently welcomed his second child with his fourth wife, could easily retire, having sold more than 150 million records and scored 33 Top 40 hits, but then what would he do? Also performing at Fenway this summer will be Journey and Def Leppard on Aug. 11, the Zac Brown Band on June 14 and 15, Foo Fighters on July 21, and, maybe, Pearl Jam on Sept. 2 and 4. Live Nation has not confirmed the PJ shows, but the band’s website accidentally leaked — and then deleted — the dates.